Electronics The King of Hobbies! 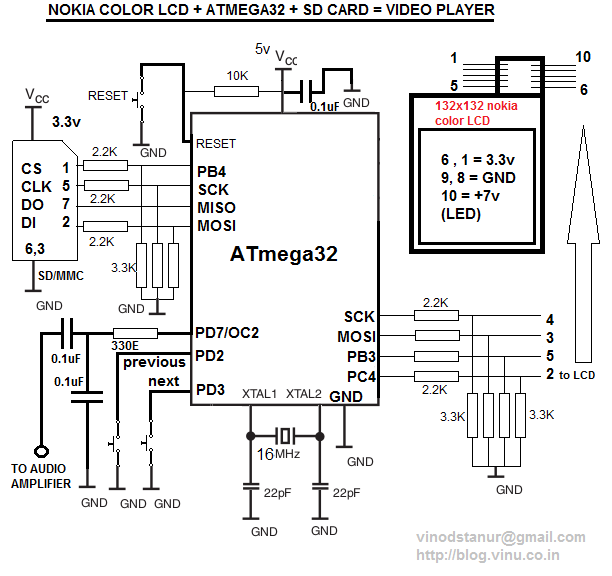 SD CARD + ATMEGA32 + NOKIA COLOR LCD = VIDEO PLAYER!!! 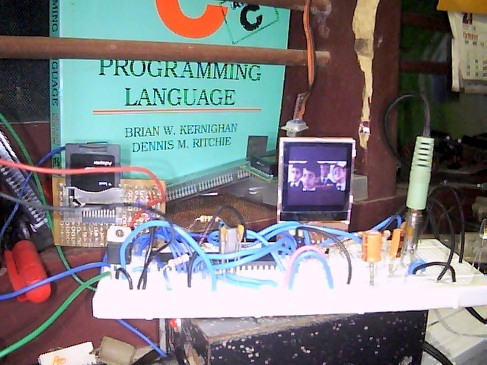 I am introducing my new video player made using an atmega32 microcontroller and nokia color LCD. I got a 65K color LCD from an old nokia 6030 mobile phone. 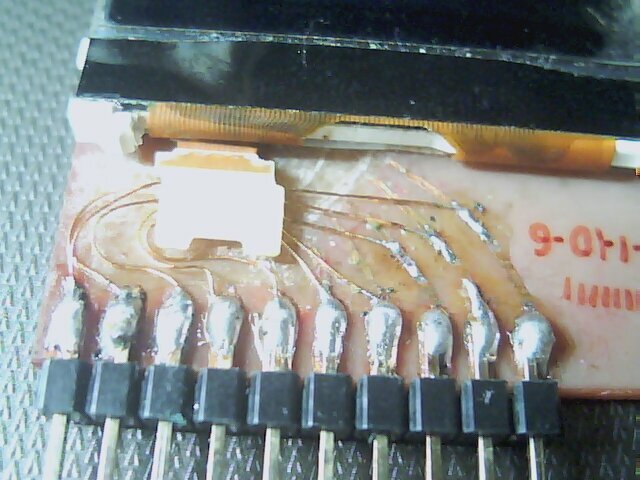 I directly soldered 10 thin enamelled coper wire from the 0.5 cm square area of the thin flexible pcb of the LCD to a berg strip fixed on another board. 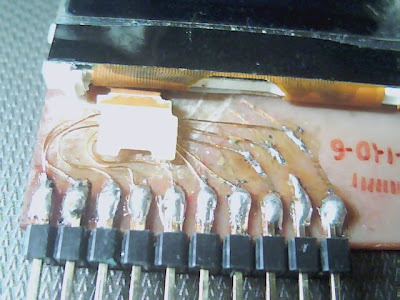 For me it was the most difficult part of this project because I don't have any tiny tip soldering iron and an lcd connector (5x2) socket with me. 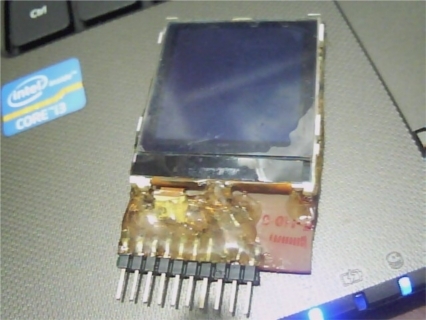 After that I interfaced the lcd with atmega32 via SPI. 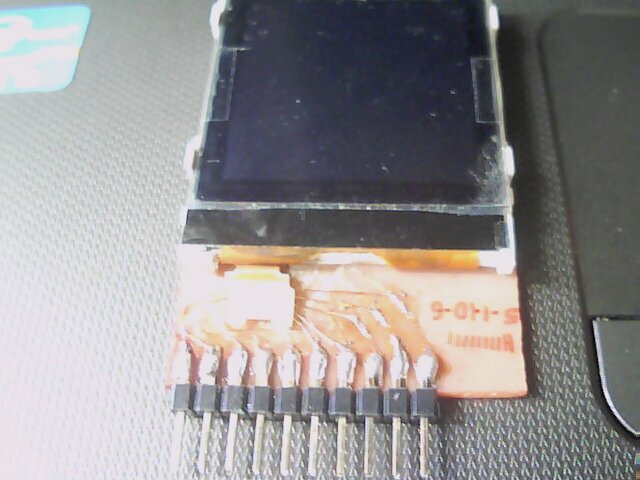 Then initialized the lcd and displayed some color patterns and confirmed the LCD is working. Now my next step is to display a still image on the LCD. 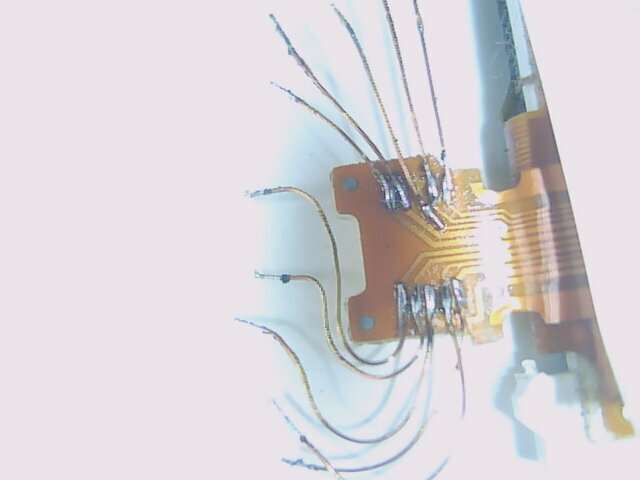 I used python image library to extract pixel information from any image file (jpeg, png etc) and I streamed it to avr via uart using pyserial and displayed the image successfully on the LCD with 16bit color depth. After that I used an SD card to store the converted pixel information (132x132*2) bytes/picture. 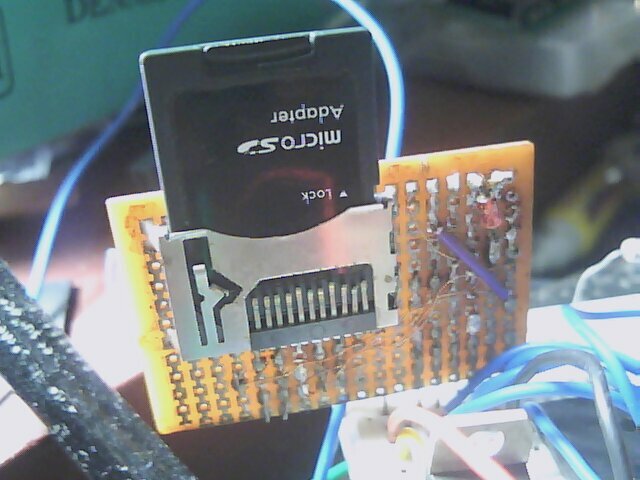 Then I interfaced the SD card with same SPI of atmega32 and displayed the image stored on it. I used FAT16 filesystem. The sd card part is not a problem for me because I have already done more projects on SD/MMC cards and I copied my previous code for that. 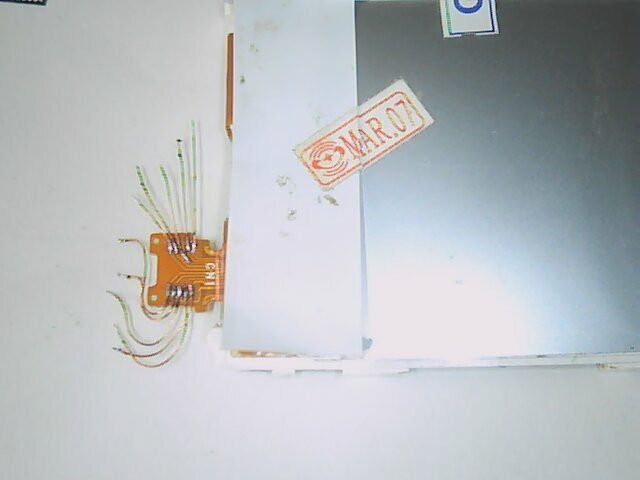 So after displaying the still image, I thought of making a slide show on the lcd. For that I wrote a python script to convert all images in a folder (on my pc) to a 132x132x2 byte files which is nothing but the uncompressed pixel information stored as new files. Then I copied all these converted files to SD card (file.lcd) and displayed them as an image slide show with 1 second time gap between each image. Since I successfully did the image slide show, then suddenly the idea of making a video player came to my mind. Because video is nothing but a slide show at high frame rate. I played 15 fps 16bit/pixel on the lcd. Now comes the next headache. Video should have audio. :-(.... Then I started thinking how to include audio. I used ffmpeg(in pc) to extract audio from the video file to 8 bit mono wav. Since wav is uncompressed audio, it is easy to handle it using a microcontroller with hardware PWM. Then I modified my python script. I just opened the wav file and discarded the first 44 bytes (wav header) and then after that, I read the audio sample byte by byte and injected it in between the video information after some calculations(see the math below) related to the bit rate of both audio and video to decide the mixing ratio. For the perfect audio video synchronization, I implemented an error correction code in the converter, which monitors the synchronization error while mixing the audio-video bytes and when the error reaches a threshold value equivalent, it writes a dummy audio sample instead of real audio sample and thus prevents the accumulation of error and thus perfect audio video synchronization is achieved for hours of continuous video playback.. It means, after every 14 bytes of video, I need to put a byte of audio sample in the final video file. 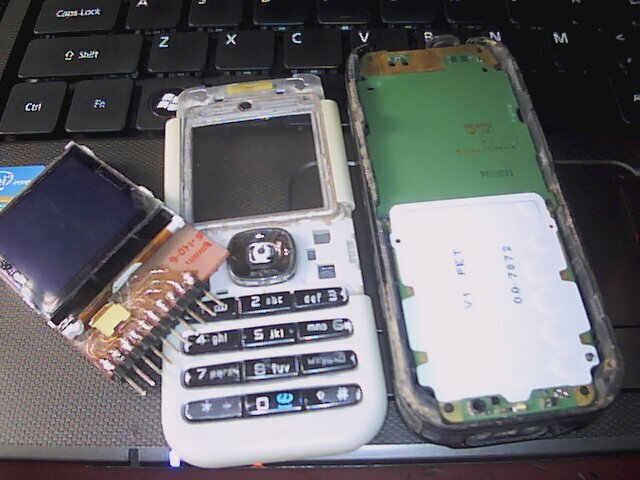 I believe the LCD which I got from the original nokia phone have Philips PCF8833 controller. Because I did the coding according to that controller specifications. In some example codes, I found we need display invertion command, but in my case don't know why, no need to use display inversion. AVR C code is written for AVR-GCC compiler in linux. "so how can i do such type of project of my own?" mast hai bhai bharat mata ki jai !!!!! very good project and amazing work!!! I am also trying to implement color LCD interfacing with atmega64 but i thought SRAM iil be the problem but u did great job..!! Man that breadboard looks like its on life support LOL. First off awesome movie choice. Secondly do you know how challenging it would be to use a different lcd? One that is bigger and higher resolution?